An Inglewood foot surgeon who was invited to watch the 2011 Super Bowl with President Barack Obama at the White House will spend two years behind bars for taking part in an identity theft scheme that defrauded banks out of more than $3 million, federal prosecutors said on Tuesday June 25. 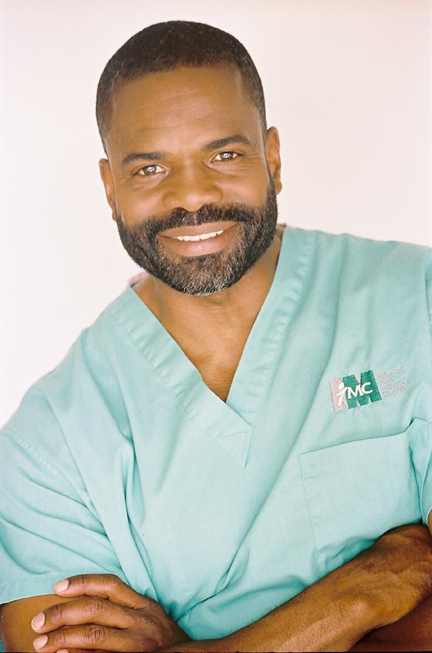 Dr. Bill J. Releford, 53, founder of the Releford Foot & Ankle Institute in Los Angeles, was also ordered by U.S. District Judge Terry J. Hatter Jr. to pay $218,237 in restitution and a $10,000 fine. Releford pleaded guilty in May 2012 to participating in the scheme to defraud Bank of America and Wells Fargo Bank. He admitted using his ill-gotten gains on his medical practice, which has offices in Beverly Hills and Inglewood, according to the U.S. Attorney's Office. At the June 24 sentencing hearing, Hatter told Releford that if he was ``man enough to do the crime,'' then he had to be ``man enough to do the time.'' Hatter said Releford's attempts to rehabilitate himself -- including an offer to immediately pay $1,500 in restitution and his recent participation in charitable projects -- had spared the podiatrist a longer prison sentence. Prosecutors said Releford and his co-defendants defrauded the financial institutions by using stolen identities to establish business lines of credit which were fraudulently drawn down to provide money that was used for their personal expenses. After obtaining stolen personal identifying information – including dates of birth, Social Security numbers, credit profiles and driver's license numbers from victims with high credit scores, including another physician from Pasadena -- members of the conspiracy submitted bogus applications for business lines of credit to various banks, prosecutors said. Once the applications were approved, the defendants liquidated the credit lines. Over the course of the scheme, Releford helped the other defendants open at least two credit lines that provided funds for Releford's medical practice, according to prosecutors. He also attempted to open a third credit line valued at up to $500,000, which he planned to use to fund a clothing business, and helped launder thousands of dollars from other fraudulently obtained credit lines, according to court documents. The five co-defendants -- Andrea Avery, Kirkland Charles, William Earl Gordon, Annita Hawes and James Arthur Booker -- previously pleaded guilty to bank fraud and received sentences of up to 88 months in federal prison. In total, the scheme caused more than $3 million in losses to Bank of America and Wells Fargo and used identities stolen from more than 70 people, according to the U.S. Attorney's Office. In 2011, Releford watched Super Bowl XLV with Obama and about 100 other guests in the White House. Releford received the invitation after his Black Barbershop Health Outreach program -- designed to address the health needs of uninsured black men -- got the attention of the Obama administration.